Charge your Phone and Tablet while travelling in the carso the entertainment never has to end! 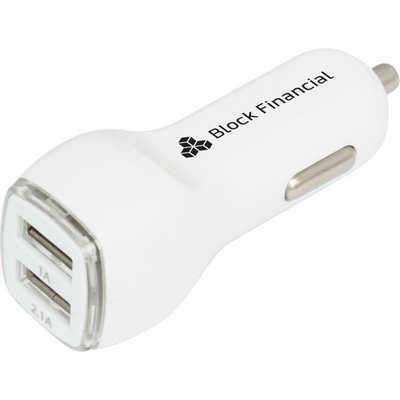 Dual USB Car Charger lights up when plugged in and features two USBs - the 2.1a USB for your tablet and the 1a USB for your phone. 7cm x 2.7cm. White box. White. Price includes: Pad Print on case. Setup is included.